Dinesh Karthik found himself out of favour as the national selectors preferred a much younger Rishabh Pant for the reserve wicketkeeper's slot in the final five ODIs, played against Australia at home, before the World Cup. The veteran from Tamil Nadu found himself out of favour as the national selectors preferred a much younger Rishabh Pant for the reserve wicketkeeper’s slot in the final five ODIs, played against Australia at home, before the World Cup. Pant, however, failed to deliver in the series against Australia which India lost 2-3 and that brought Karthik back into the contention for the World Cup which begins on May 30 with his rich experience and the ability to play the finisher’s role in crunch situations. “The lesser I think about the World Cup, the better for me. Every IPL is important for a player like me. 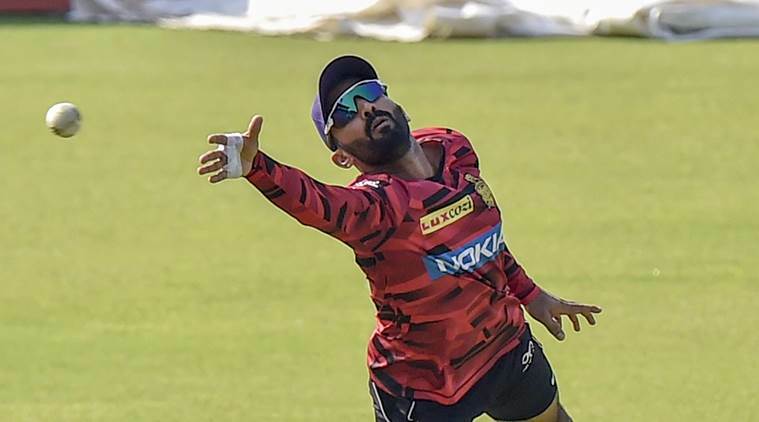 This year’s IPL is also important like every year’s,” Karthik told reporters on the eve of KKR’s opening IPL fixture against Sunrisers Hyderabad on Sunday. “The most important thing for me is to do well for KKR and the team to do well. I am sure the World Cup will take care of itself for me,” said the 33-year-old wicketkeeper-batsman. “He is special bowler in T20s. We will do our best to tackle him within the game plan that we have,” Karthik said about Rashid. “The soil has changed a bit and that has provided a lot more pace and bounce. That’s something we have enjoyed as a team and we have embraced it,” he said.